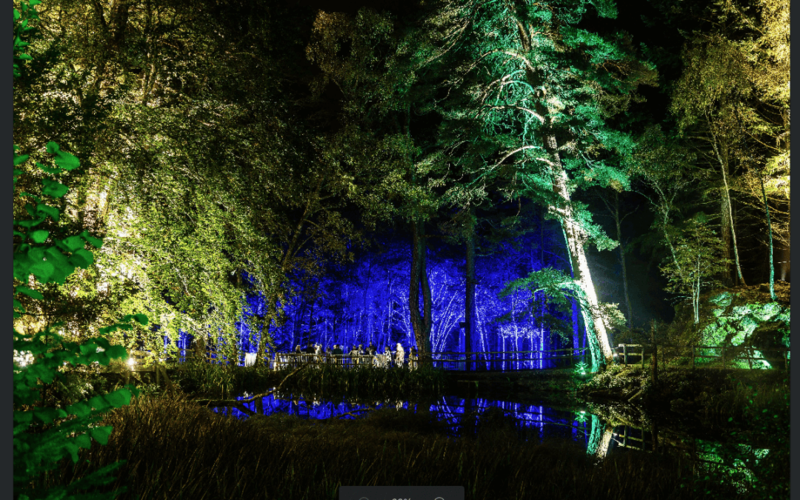 Organisers of the award-winning Enchanted Forest sound and light show – The Enchanted Forest Community Trust – are investing thousands into this autumn’s event to improve accessibility for wheelchair users and disabled customers. The investment in the Pitlochry event this October will include improved path access, increased access to the show’s catering and storytelling areas, and a state-of-the-art Mobiloo toilet. Together, the changes will enable many more visitors to gain accessibility to all parts of the show. There will be improved path access for all visitors to Faskally Wood, where the event is held, and organisers have focused on increasing accessibility for wheelchair users in many areas where there is bark underfoot, installing matting on top of of the bark. Entitled Of The Wild, the 2018 Enchanted Forest show is firmly rooted in nature and inspired by the hidden mystery of Faskally Wood after dark. It runs from October 4 to November 4. Last year’s sell-out Enchanted Forest event attracted a record 73,000 visitors.